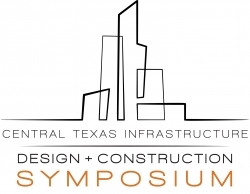 The 16th annual Central Texas Infrastructure Design & Construction Symposium at the Austin Convention Center on April 24, 2019 brings together subject matter experts to discuss the most relevant issues affecting the engineers and contractors involved in designing and building the area’s infrastructure. Austin, TX, March 06, 2019 --(PR.com)-- The Austin Contractors & Engineers Association (ACEA) is preparing for its 16th annual Central Texas Infrastructure Design & Construction Symposium to be held at the Austin Convention Center on April 24, 2019. The annual symposium is ACEA’s signature event bringing together subject matter experts to discuss the most relevant issues affecting the engineers and contractors involved in designing and building the area’s infrastructure. Last year’s event drew over 500 participants from the entire Central Texas area and is on track for the same kind of success this year. Offering educational opportunities along with qualifying Personal Development credit hours, the highly anticipated event features prominent experts from area municipalities, noted engineers, and contractors. Vaike O’Grady, Regional Director with Metrostudy, is the luncheon keynote speaker. She provides expertise and consulting services related to housing and residential construction. The information she plans to share will be of great interest to anyone wanting to capitalize on the explosive growth taking shape in Central Texas. Sessions include five tracks covering the latest updates on regulations. You’ll hear from city and county officials outside of Austin and Travis County. The popular Ethics Jeopardy is back and will be offered twice. Learn the basics in the Project 101 sessions. Visit with industry suppliers and network with others in the industry. Connect with old and new friends. Information about the symposium and other ACEA programs is available on the association’s website, aceatx.com. Membership information can also be found on the website or by contacting the association staff. The Austin Contractors & Engineers Association (ACEA) has been actively representing the construction and engineering communities in Central Texas since 1983, advocating with city and county governments on their behalf. Association members are involved in designing and building the area’s infrastructure.